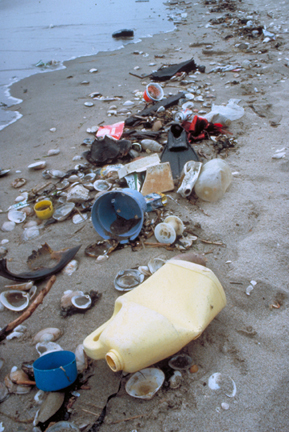 Plastic debris from N. Pacific Gyre. 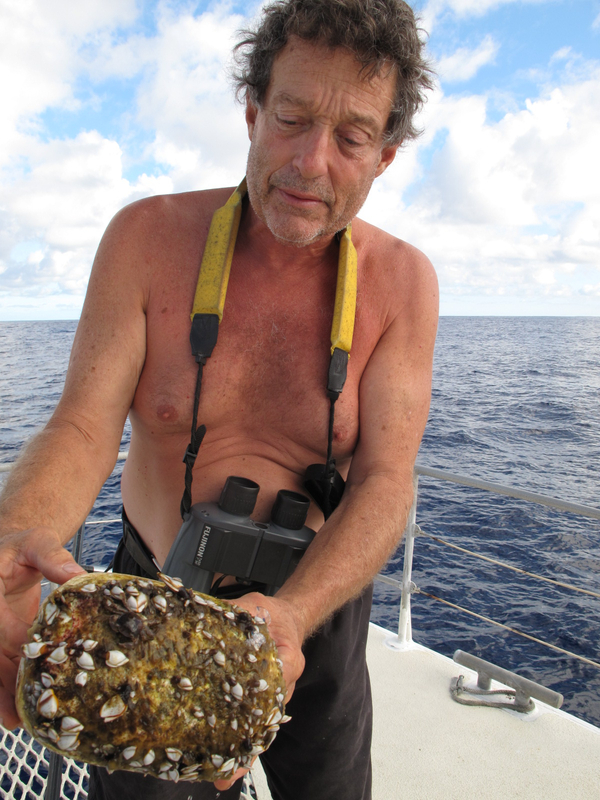 Captain Charles Moore examines colonized plastic float. Beach cleanup is gyre cleanup. Based on computer modeling, the OCP just released the results of a detailed feasibility study which concludes that the OCP cleanup scheme for the Great Pacific Garbage Patch is feasible. However, review of the study findings raises important questions. 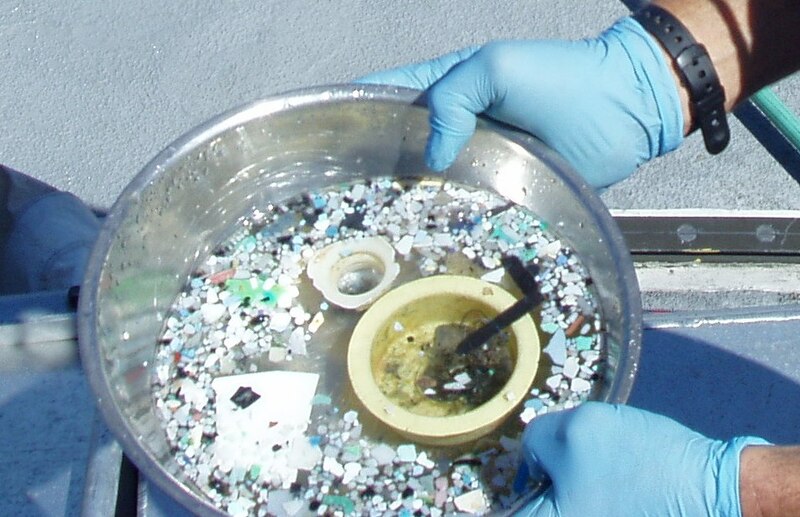 For starters, only plastic debris less than 2 centimeters in dimension could be captured, which means that microplastics (which include plastics manufactured to be that small, like micro-beads in beauty products, as well as small plastic fragments that result from photo-degradation of larger plastics) could not be captured. The OCP’s assertion that the latter is not a problem must be assuming that larger plastics will not fragment into small pieces before reaching the mid-ocean gyre. Also, recent studies showing the ubiquity of plastic micro-beads in oceans, bays and lakes is very worrisome. Second, the OCP’s design is also reported to extract debris only from the top 3 meters, and the ocean’s average depth is about 2.6 miles. 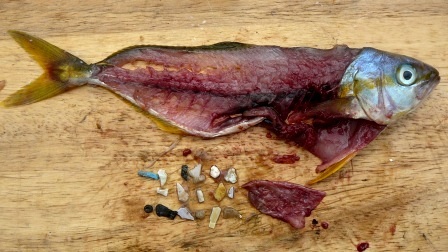 These concerns are amplified by a just released study published in the Proceedings of the National Academy of Sciences which implies that microplastics are being conveyed en masse to deeper ocean layers, likely because of 1) ingestion by fish who surface at night to feed on plankton, and 2) because of loss of buoyancy as the debris gets colonized by bacteria (lead author Andres Cozar). Other critiques of the OCP feasibility study I leave to knowledgeable engineers, oceanographers and economists. This entry was posted on Monday, May 27th, 2013 at 1:01 pm and is filed under California, plastics, pollution, science, sustainable living, toxics, waste, wildlife. You can follow any responses to this entry through the RSS 2.0 feed. You can leave a response, or trackback from your own site. 5 Responses to Mid-Ocean Plastics Cleanup Schemes: Too Little Too Late? Thank you for your insightful thought. Information and education will always change practices. I like how you can adapt highly scientific information into understandable information. To Richard@EcoApprentice: You can email me smhangs5@att.net. Thanks for a marvelous posting! I definitely enjoyed reading it, you may be a great author.I will make certain to bookmark your blog and will come back in the foreseeable future. I want to encourage continue your great writing, have a nice holiday weekend!